One of the best things about doing a music blog – apart from feedback from readers and artists involved with the records – is when I get sent contributions from readers. This happy little tune and nice scan, I got via email from Frank from Milano, Italy. Your blog is delicious: even if I can’t understand the words in the records, the music is fabulous! I love the 50s, and somewhat I’m a collector too: I’m interested mainly in Italian rock’n’roll of the 50s, that except for some names (Celentano amongst all), the rest is pretty obscure. I’d like to donate you a song taken from a flexi-disc. 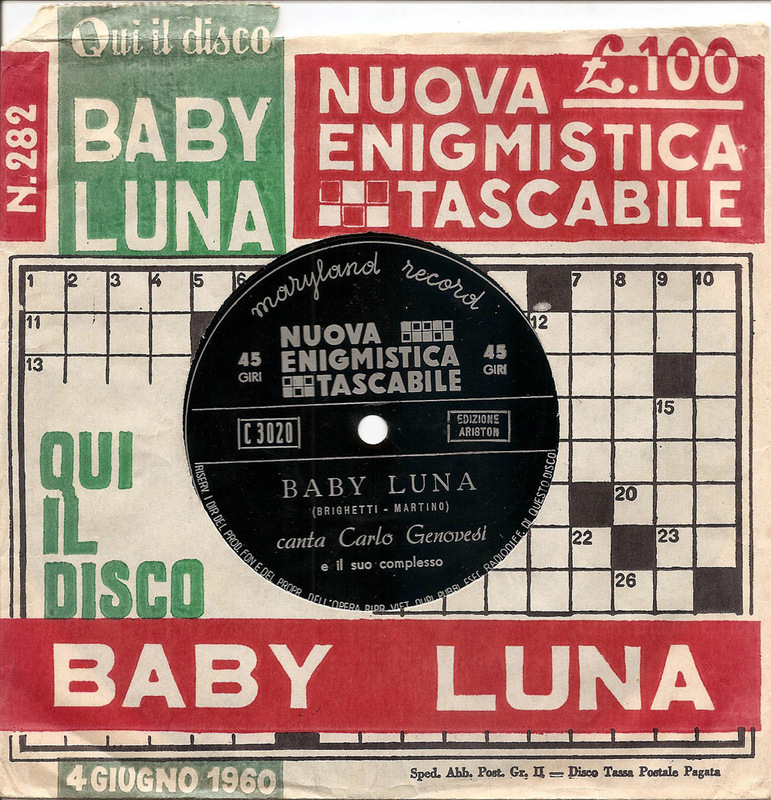 The year is 1960, the guy who sings is named Carlo Genovesi (I don’t know if he made other records after this) and the song is called “Baby Luna”, and it sounds pretty well. The same song was performed by a more famous Italian singer the year before, Bruno Martino (who co-wrote this song), and it was more uptempo than this version. This flexi came along with a puzzle book called Nuova Enigmistica Tascabile, NET, and it was out every Saturday between the ‘50s and ‘60s. Thanks a lot for taking the time to record and scan this record. Frank is also drumming in the great western swing/rockabilly band The Starliters, who will be playing in Berlin on Saturday, May 14th at the Roadrunners Club. 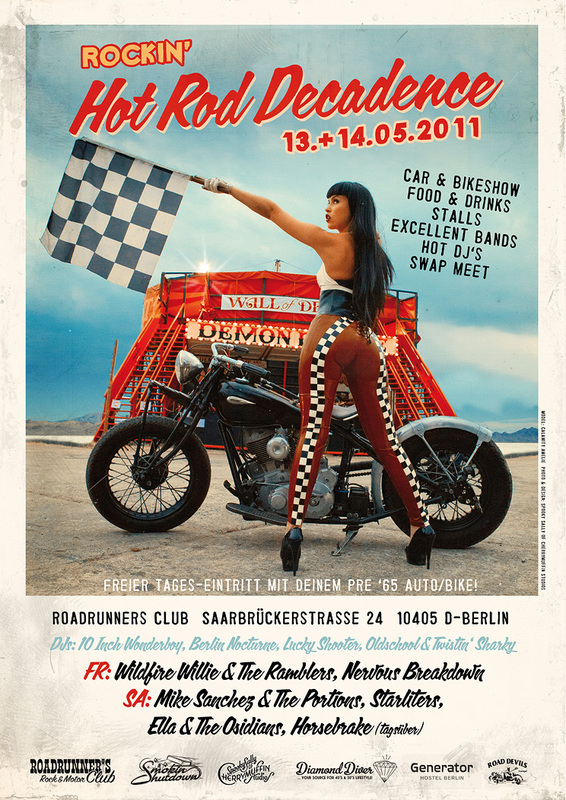 I´ll definetely be heading over to the Roadrunners Club! If you´re into rockabilly, come and see The Starliters!